I bought a bundle of 3 bareroot fruit trees from YouGarden. 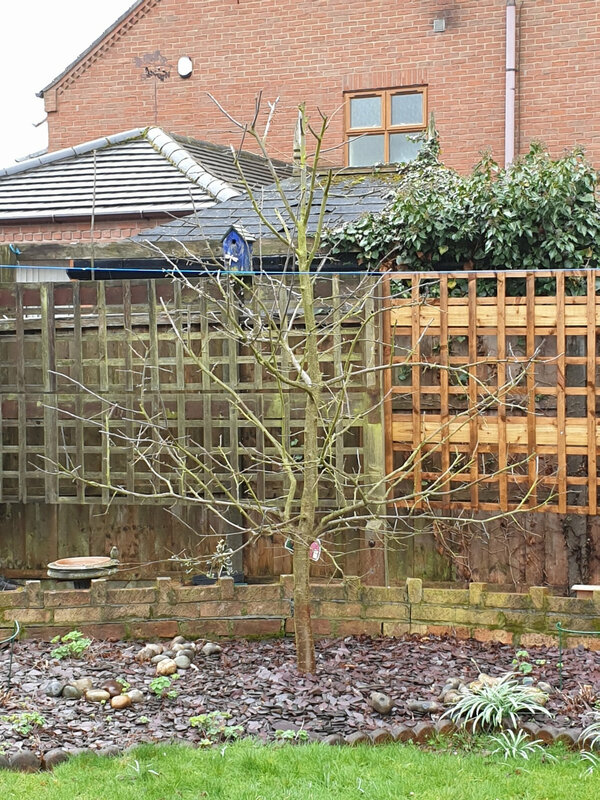 I've planted the m26-equivalent Braeburn apple as a cordon in my current row of cordon apples. 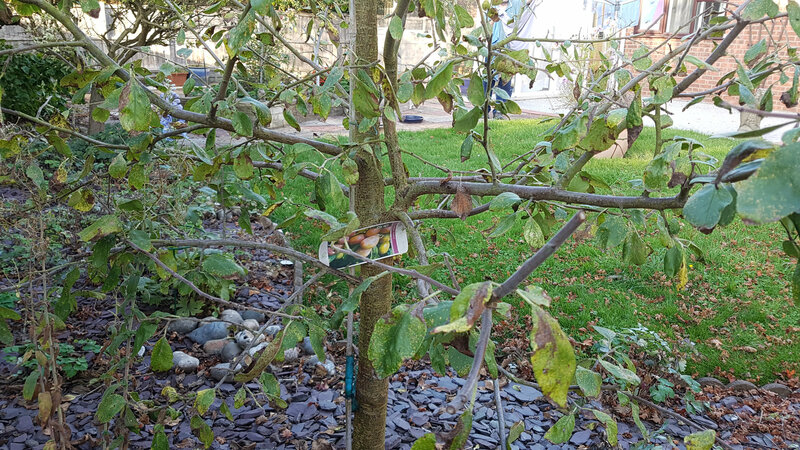 That leaves me with a pixy-equivalent Victoria plum and a Quince-C-equivalent pear and I'm wondering how to grow them in the least amount of space, but at the same time to get a reasonable crop off them ,and would value your input and any relevant experience. I like the idea of growing them both as 'column' trees, as I imagine they would look very pretty and the width (60cm) would allow me to slot them in one of my vegy beds without creating a worrying amount of shade; however, I imagine that my varieties aren't really going to lend themselves to this and will not crop well (I gather the column trees you buy are based on the refined breeding of 'short armed' instances of these trees). If that doesn't work, perhaps I could grow them both as an oblique cordons?... Or perhaps step-overs?... Or something else...? :-) I'd really value your wise input on this. Many thanks for your feedback. It's all very useful information. 6ft wide is going to prove difficult. Any ideas if I can restrict this by putting it in a pot - say, 59cm wide. Not a good photo but it was taken last summer while trying to show someone what I ment by training the branches. This was before its yearly prune, so you can see just how much growth you will get. Will try to get a better photo of whole tree, bare at this time but will show we have cut it to a Christmas tree shape and will not let it get any taller. It gave fruit mainly on the lower limbs this year. A photo would be great, thanks! I like the idea of a Christmas tree (pyramid?) shape due to the reduced shade. Not a great photo as everything is similar colours and wet! 🙂. But you can see I have tried ( operative word) to keep it open and restrict the side limbs and side shoots. The lowest two sets of limbs were the fruit producing ones last year.